Luis Enrique has urged his players to keep improving as Barcelona prepare to take on local rivals Espanyol in their first game of 2016. The Catalan giants ended a stunning 2015 on a high by beating Real Betis 4-0 on Wednesday to cement their place at the top of La Liga and cap a year in which they won five major trophies out of a possible six. Their head coach is not getting carried away, though, and wants to do even better in the year ahead. “I don’t dwell on memories and 2015 is in the past,” Luis Enrique told the Barcelona website. “Now I’m interested in 2016 and being the best again. That’s what professionals do. “Everyone can get better. The players, the coaches, and all the people that form part of this club. As ever, much of the focus for Saturday’s encounter will be on Lionel Messi, who made his 500th appearance in all competitions for Barca against Betis, marking the occasion with his 425th goal. The Argentina superstar made his debut for Barcelona at Espanyol on October 16, 2004 at the tender age of 17 years and 114 days, the youngest player at the time to make his bow for the club. He has since gone on to become the all-time top scorer in the Catalonian derby in La Liga with 13 strikes and has scored six of the last 12 Barca goals against Espanyol in the league. – The last three La Liga games between these two teams at Power8 Stadium have seen an Espanyol player sent off. – Espanyol have only scored once in their last seven La Liga games against Barcelona (Sergio García in 2014). 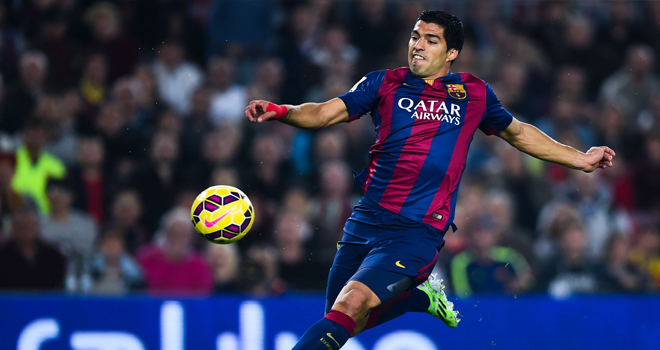 – Barcelona have won more penalties than any other side in the top five European leagues (nine). – No current Espanyol player has scored against Barcelona for the club (Felipe Caicedo did it for Levante on 2011 and Paco Montanes for Real Zaragoza in 2012). – Neymar has assisted 12 goals in his last 12 appearances for Barcelona (all competitions). Espanyol, meanwhile, will be looking to bounce back from their 2-0 defeat at the hands of Sevilla in midweek, but their recent history versus Barca gives them little reason for optimism. They have not beaten their neighbours in their last 12 La Liga games – drawing two and losing the remaining 10 – and Barca have not beaten any team more often than Espanyol in La Liga history (93). The last time Espanyol won against their city rivals at home in La Liga was in January 2007, when they recorded a 3-1 victory, but Constantin Galca’s men will be drawing confidence from their recent home form. They have not lost at the Power8 Stadium since October 3, collecting eight points from four encounters since and Galca will be hoping Felipe Caicedo can inspire them again on Saturday, with the Ecuador international netting the only goal of the game in Espanyol’s last home game against Las Palmas. Barcelona visit Getafe hoping to keep pace with Real Madrid at the top of La Liga despite their growing list of absentees. The Catalan club are level with leaders Real on 21 points and are unbeaten in their last four games and – with the first Clasico of the season just over three weeks away – can ill-afford a slip-up ahead of next month’s trip to the Santiago Bernabeu. Barca travel to Madrid this weekend, and do so on the back of a disappointing 0-0 draw played out by a youthful side in Wednesday’s Copa del Rey last-32 first-leg clash with third-tier Villanovense, which ended a run of three straight wins. Prior to that stalemate, Barca had been in excellent form, with Luis Suarez and Neymar making up for the absence of Lionel Messi – who has not played since September 26 because of a knee injury. Neymar netted four in a 5-2 defeat of Rayo Vallecano earlier this month as Barca responded excellently to a 2-1 loss at Sevilla, and – after Ivan Rakitic had inspired a 2-0 Champions League victory at BATE – Suarez scored a hat-trick in a 3-1 triumph against Eibar. However, versatile midfielder Javier Mascherano is suspended for two games following his red card in the game with Eibar. Messi and long-term absentee Rafinha (knee) remain out of action. Meanwhile, Getafe, who sit 13th with just 10 points from nine games, are without Carlos Vigaray after the defender was sent off in their 5-0 hammering at the hands of Sevilla. Striker Alvaro Vazquez (hamstring) is also likely to be unavailable for the hosts and Alvaro Medran is not expected to be back until February after fracturing his shin for the second time in six months. There is good news for Getafe, however, with midfielder Angel Lafita in contention to return from a groin injury, although defender Alexis is a doubt with a knee problem picked up in training. Getafe have not beaten Barca since 2011 but did hold Luis Enrique’s men to a 0-0 draw in the corresponding fixture last season. But Neymar and Suarez – who have 15 league goals between them this campaign – were both on target in the 6-0 drubbing of Getafe at Camp Nou last term, and stopping the in-form duo will be key to the hosts doing neighbours Real a favour. 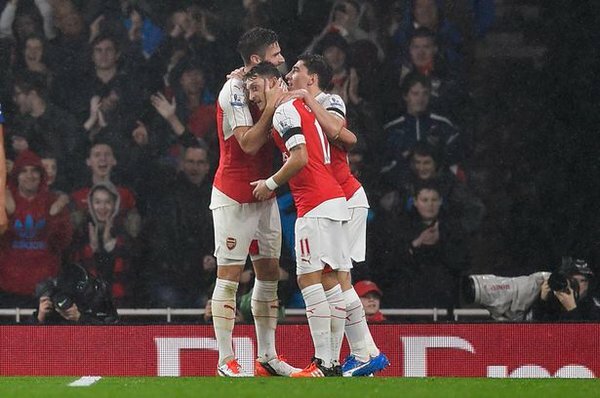 Arsenal’s World Cup winner was in sublime form again today, as Ozil laid on another assist in Arsenal’s 2-1 win over Everton, which sent the Gunners to the top of the table. constantly chattering about just where the 27- year-old sits in the all-time assist picture. 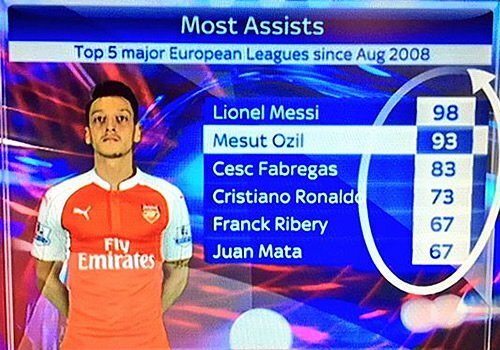 Stats on assists aren’t easy to come by, and there are plenty of falsehood doing the rounds on social media. Happily, some more reliable sources have emerged to give a better framework on Ozil’s true assist-making value. League history, averaging one assist every 2.71 matches. pulled from just the top 5 European Leagues, and the Arsenal man trails Barcelona’s Leo Messi by just five assists. Chelsea’s Cesc Fabregas is third with 83 assists, while Real Madrid goal-machine Cristiano Ronaldo is back in fourth on 73 assists. recognised for their achievements over the past season. 2014/15 season at both European and domestic level”. Programme”. 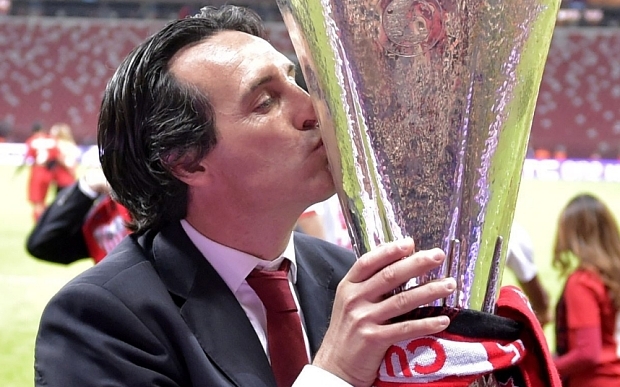 The award was presented by Marc-André Buchwalder, who commented on the Gunners’ unique initiative. Award for the Best #CSR Programme 2015! European competition during the 2014/15 season”. Dnipro made it all the way to the Europa League final where they were narrowly defeated by Sevilla. improve accessibility for all its fans. Sport reports that Arsene Wenger is planning to raid Barcelona by activating the release clause of two of their most promising starlets Munir El Haddadi and Sergi Samper . New Coach Luis Enrique rate both players highly, due to which the dynamic duo have caught the attention of Arsenal. It is reported that Wenger is willing to meet the €12 million release clause of both the players in order to sign them quickly . If these reports are true, then Arsenal will have to offer a total amount of €24 million which Barcelona will find hard to turn down. The Barcelona B players are considered to be the brightest prospect of La Masia. 19 year old Munir has already made his debut in La Liga and for the Spanish national team this season. Wenger will be in a hurry to seal the deal as it is reported that Barcelona are already in the process of renewing both players contracts with a higher release clause to fend off interest from any interested club. Barcelona in the past had blamed Arsenal for snatching there brightest talent at a very young age . A number of players had made switch to Arsenal in the past including Cesc Fabregas, who also captained Arsenal before returning back to Barcelona in 2011. Wenger is well known for giving young talent chance to play for the first team and that is the reason so many starlets cannot resist the temptation to join the London club . Munir and Samper both know that they might have to wait long before making regular appearances for the first team as it is near to impossible to displace the likes of Lionel Messi , Luis Suarez and Neymar from the starting lineup of Barcelona . Wenger will be hopeful that he might convince the Barcelona duo to make a switch to Emirates by offering them a chance to play in the first team of a top Premier League club. Have Your Say: Will they not end up the way others have ended in recent times, think of Ignasius Miquel.